That many of art history’s biggest names lived, studied and worked in Paris is no secret. What’s less well known is that you needn’t fight the crowds at the Louvre, Musée d’Orsay or Centre Pompidou to enjoy their work and learn more about their lives. Instead, you can head straight to the site of their greatest artistic achievements: their homes and studios. 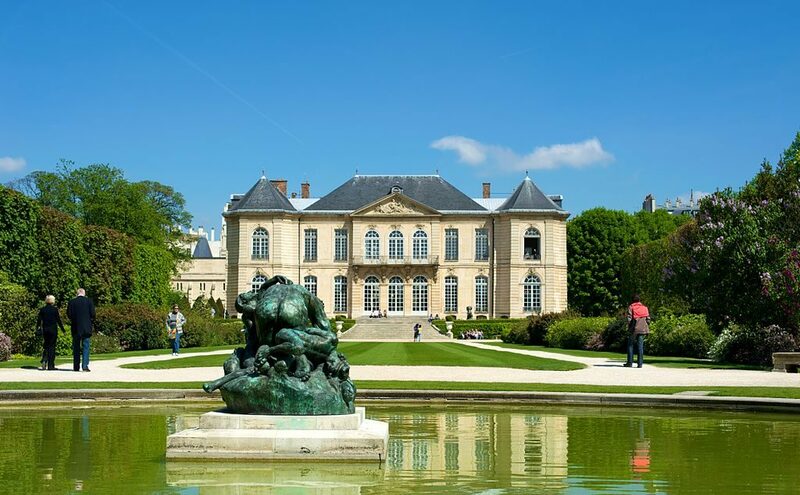 Undoubtedly the most famous of the converted ateliers in central Paris, the Musée Rodin is filled with the works of the most preeminent sculptor of the 19th and early 20th centuries, including Le Penseur and Le Baiser. From 1908, Rodin rented several rooms on the ground floor of the Hôtel Biron, a spectacular mansion in the exclusive Faubourg Saint-Germain, in which he stored and created his sculptures. Shortly thereafter, he began petitioning the government to convert it into a museum of his work and his wish was granted a year before his death in 1917. A long-time admirer and part-time assistant of Rodin, Émile-Antoine Bourdelle moved into his home and studio on the Impasse du Maine (a street that would later be renamed in his honor) in 1885. Like his mentor, Bourdelle made plans towards the end of his life to turn his workplace into a dedicated museum. However, this wasn’t realized until 1949, a full two decades after the artist’s death. 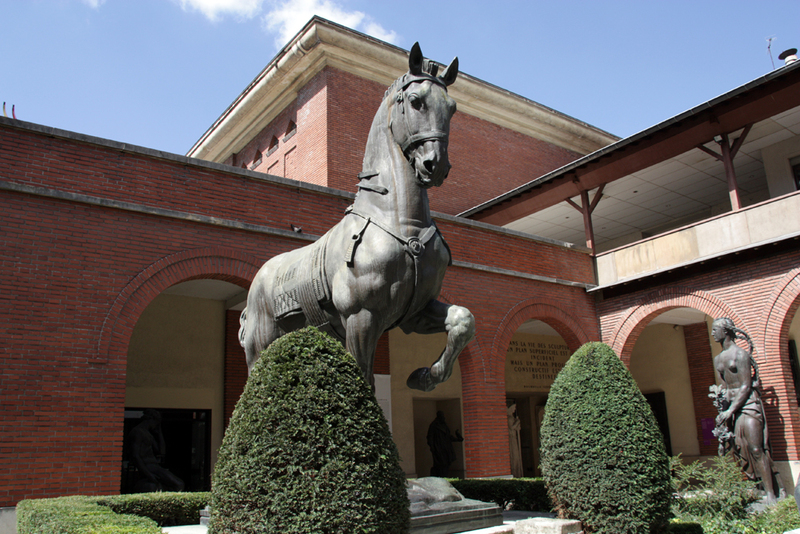 Today, the Musée Bourdelle contains more than 500 of his works in marble, plaster and bronze, as well as his personal art collection which includes paintings by Eugène Delacroix and Pierre Puvis de Chavannes. Eugène Delacroix, the leader of the French Romantic school of painters, moved into his last apartment and studio on the elegant Place de Furstenberg on December 28, 1857. While the majority of Delacroix’s most famous paintings hang in the Louvre, such as Lady Liberty Leading the People (which, incidentally, relates to the 1830 Revolution and not that which began in 1789 as many mistakenly believe), the Musée Delacroix contains pieces from every stage of his career, making it the ideal place to get an insight into his life and his impact on the Impressionists whose style he so influenced. One of history’s finest art school dropouts, Gustave Moreau was inspired by the vibrant colors and dramatic figuration of Delacroix’s work and created an astonishing oeuvre of over 8,000 paintings of his own. (He also later became a professor at the École des Beaux-Arts where he taught Matisse.) 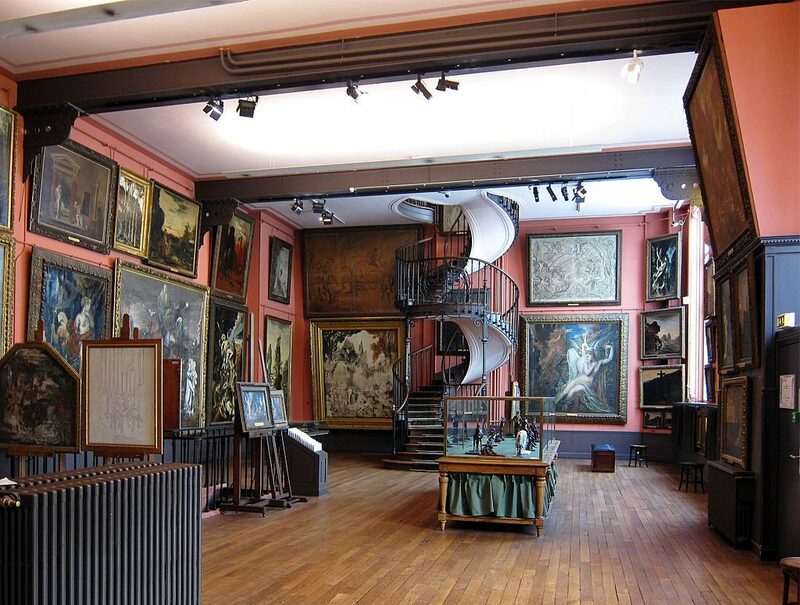 Three years before his death, he created the Musée Gustave Moreau out of his three-story apartment, though parts of his living quarters have been preserved to this day. Included in the displays are drawings, paintings, watercolors and sculptures, demonstrating his progression from Biblical, mythological and literary references to Symbolist painting. 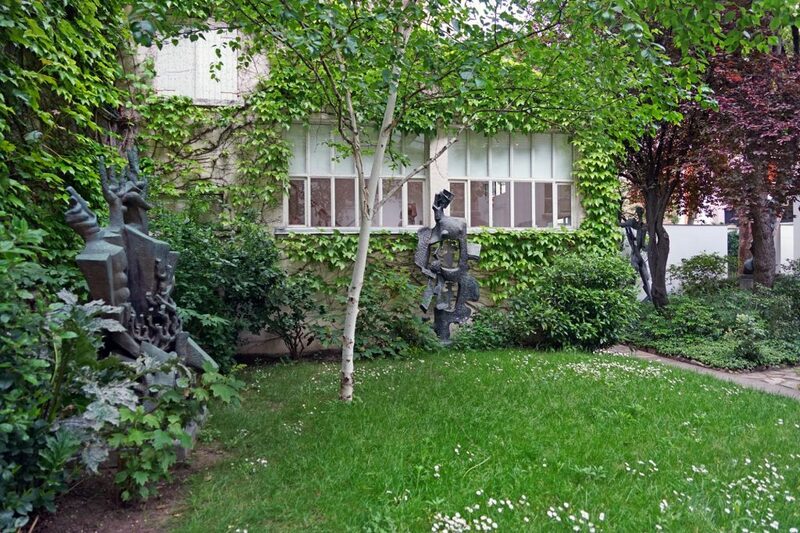 Located just a stone’s throw from the beautiful Jardin du Luxembourg, the Musée Zadkine is an urban oasis in its own right, a 20th-century home and studio with its own lush courtyard secreted behind nondescript Parisian apartment buildings. Primarily known as a Modernist sculptor, the Russian expat artist also produced drawings, gouaches, photographs and tapestries during his lengthy career and each of these elements are contained in the museum’s collection. Contemporary artists are also regularly exhibited in its sun-filled galleries. The Atelier Brancusi is as much a work of art as the early Modernist masterpieces it produced. 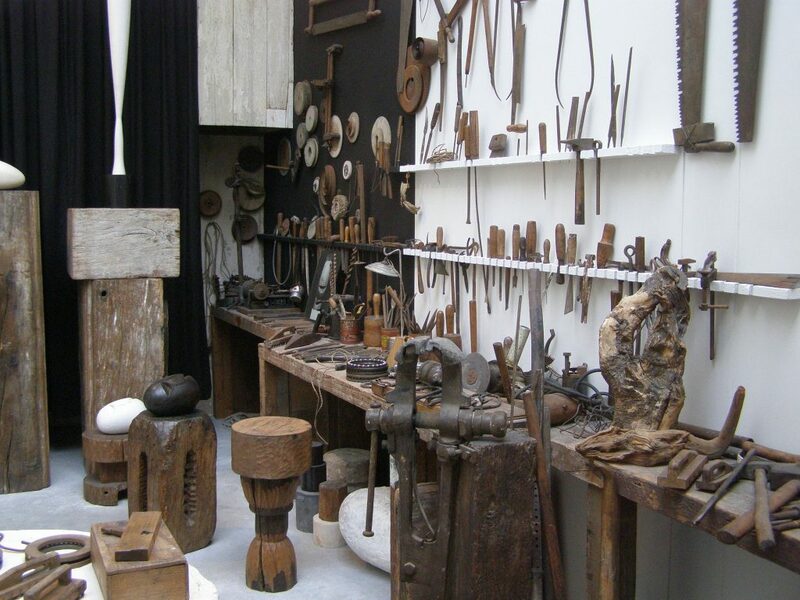 Its former owner, the Romanian sculptor, painter and photographer Constantin Brâncuși, was convinced that the composition of his studio could be seen and felt in the art that was created there, which made his bequeathing of it to the French government in 1957 all the more special. Remarkable, too, is the fact that it was entirely deconstructed at its original location in Montparnasse and transplanted to its new home next to the Centre Pompidou, where it opened to the public in 1997. 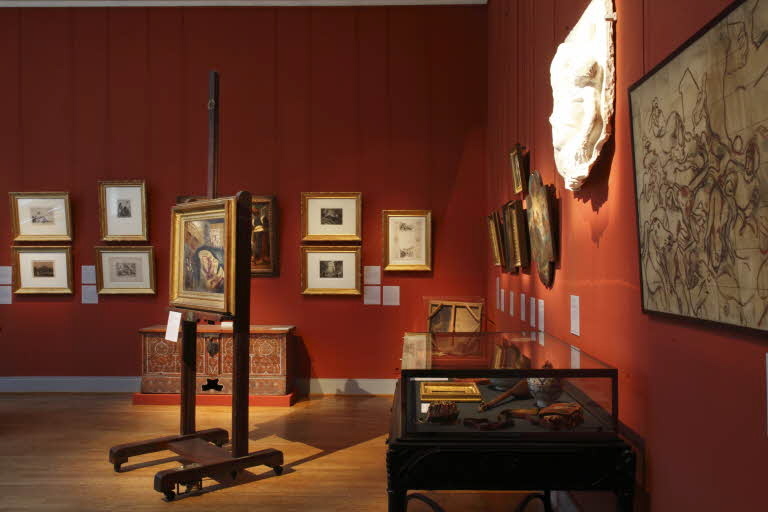 The Musée de la Vie Romantique, which is tucked down a cobbled alleyway in the bustling 9th arrondissement, is housed in the former home of the Dutch painter Ary Scheffer. The museum’s displays are split between his work, the writings and artefacts of novelist and memoirist George Sand (real name Amantine-Lucile-Aurore Dupin), and the visions and ideals of the Romantic movement. Everyone from Delacroix and Chopin to Liszt and Dickens spent a Friday evening or two being entertained in this house and it’s a must-visit for anyone interested in Paris’ enduring appeal for creative minds. 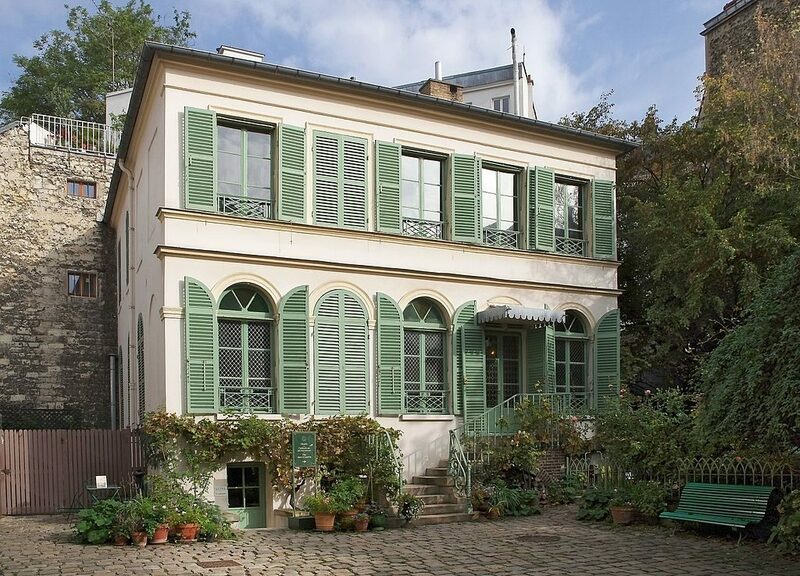 Housed in the Maison Bel Air, the oldest residence on the hill of Montmartre, Paris’ rural suburb turned bohemian heartland of the Belle Époque, the Musée de Montmartre was a home and studio to many of the age’s greatest artists. The foremost of these was Auguste Renoir, who painted Le Bal du Moulin de la Galette while staying here in 1876. 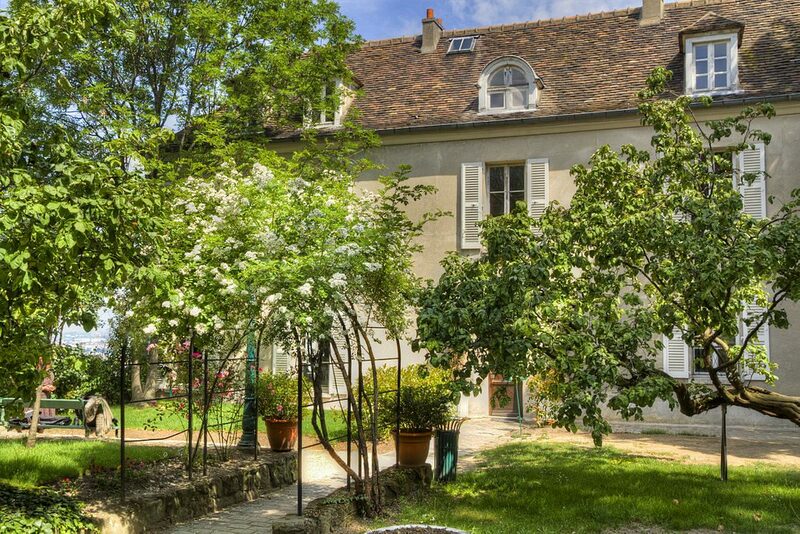 Other former residents, whose works the recently renovated museum now presents, are the outrageously talented if somewhat dysfunctional family of Suzanne Valadon, André Utter and Maurice Utrillo. You’ll also find original drawings of the neighborhood’s bars and cabarets by Henri de Toulouse-Lautrec. 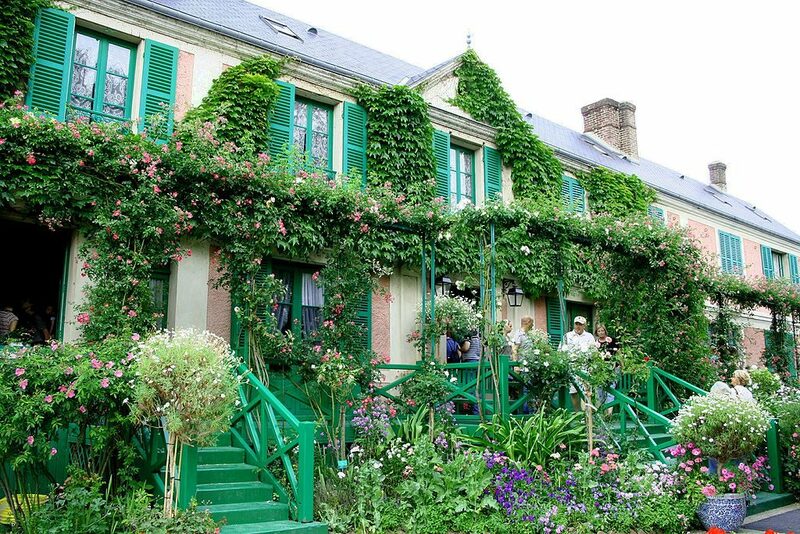 Claude Monet lived, gardened and painted at his gorgeous country home in Giverny from 1883 until his death in 1926. Today, the property is looked after by the Fondation Claude Monet and attracts more than half a million visitors every year, making it the second most visited attraction in Normandy after the Mont Saint-Michel and the second most popular day trip from Paris after the Palace of Versailles. While it’s definitely worth the hour-long journey from the capital, you can expect crowds of tourists during the summer in the otherwise heavenly water gardens, immortalized in Monet’s final work, Les Nymphéas.